Patrick Clark is a designer who worked closely with the Stratford Festival for nine seasons. He has also designed for the Shaw Festival, Neptune Theatre, Theatre Plus, Canadian Stage, Theatre New Brunswick, and the Banff Centre for the Arts. Stephen Degenstein is a set, light, and costume designer. His company, SJ Designs, is based in Stratford, Ontario. He has designed for the Stratford Festival, National Arts Centre, Drayton Entertainment, Blyth Festival and Neptune Theatre, and taught in technical theatre programs at Humber, Fanshawe and Sheridan Colleges. 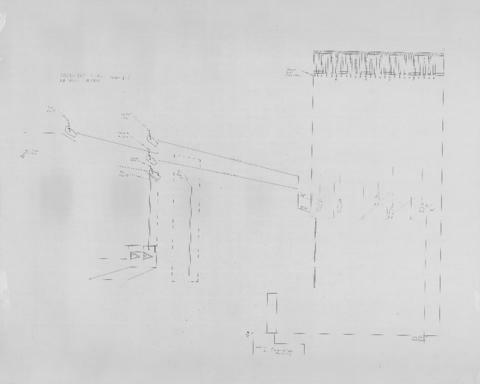 Set and lighting designs are annotated copies of the original drawings. Location of originals unknown. See the production records for this play in the Neptune Theatre fonds (MS-3-1) under the series "Production records," subseries "Blood Relations."